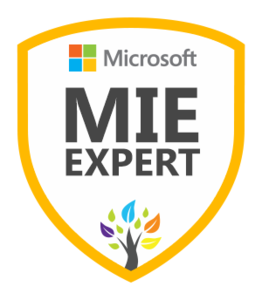 On August 1, 2018, Kim Rominger, Andrea Tolley, and Janis Young were announced as a Microsoft Innovative Educator (MIE) Expert joining the more than 7,600 educators in the MIE Expert program worldwide. Each year, Microsoft selects innovative educators to share ideas, try new approaches and learn from each other as a global community dedicated to improving student outcomes through technology. “The collaboration opportunities Microsoft Educator Community offers has heightened my teaching enthusiasm to explore globally beyond the confines of my building or even my system. The world is full of amazing ideas, educators, technical support staff, and countless other possibilities I can utilize through this opportunity provided by Microsoft. In today’s current age of social networking, becoming a global learner, and global businesses, it is important to know how to work successfully with virtual teams who are in different places, different space, time and organizational borders using communication technologies to interact with one another,” says Kim Rominger, Seventh Grade Social Studies Teacher, and MIE Expert. "The technology that Greeneville City Schools provides for its students is a valuable learning tool. As a part of the Microsoft Educator Community, I look forward to being able to prepare students with the 21st Century skills they need to succeed in educational and life endeavors," says Janis Young ELA/SS CEC Teacher, and MIE Expert. 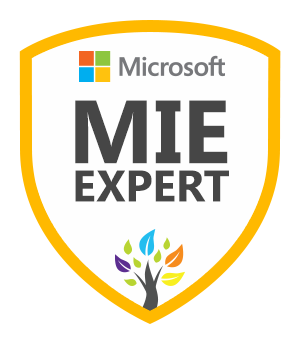 "This is my third year being a part of the MIE Expert community. I am honored and excited to be a part of this select group again, and glad to have Kim and Janis join me. This program helps you become a stronger educator by nurturing your growth and learning in all aspects of the teaching profession," says Andrea Tolley, Microsoft Imagine Academy Educator, and MIE Expert.